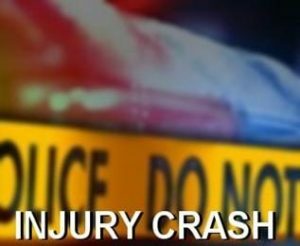 LANCASTER – A two-vehicle collision in Lancaster on Thursday injured three people, two of whom had to be pried from the wreckage. The crash was reported at 2:30 p.m. at North 15th Street East and East Avenue J, according to the Los Angeles County Fire Department. The trapped patients were freed and all three victims, including one who was in critical condition, were taken to a hospital, a dispatcher said. The two other patients had moderate injuries, the fire department reported. 10 comments for "Three injured, one critically, in two-vehicle crash in Lancaster"
What an ignorant comment. Obviously, you cannot read and therefore are a lost cause to humanity. Nowhere in the story does it state their nationality. The hate in strong in you and sickening to know how this world continues to show their true colors. Stop spreading propaganda. You are a disgusting troll hiding behind a computer screen. Such a loser! Just saying. Sure we would… asians can’t drive either! But are still just too funny. Q: How do you know when an Asian moves into your neighborhood? A: All the Mexicans run out and get car insurance. Freaking illegals just can’t drive! I’m guessing that the jaws of life were used rather than a pry bar.